Opium poppy (Papaver somniferum) remains one of the most important medicinal plants in the world. The discovery of a 10 gene cluster responsible for the production of the anti-cancer compound noscapine in opium poppy provided the tools for molecular breeding of new commercial varieties. The discovery of a novel P450 – oxidoreductase gene fusion described the last unknown step in synthesis of the painkiller drugs morphine and codeine proving a valuable tool for development of bespoke, high yielding poppy varieties. The Chinese medicinal plant Artemisia annua (Sweet Wormwood or Qing Hao) is the primary source of the leading anti-malarial drug artemisinin. Characterisation and genetic mapping of traits responsible for production of artemisinin has enabled development of F1 hybrid seed that can deliver a robust source of this vital anti-malarial drug for the developing world. Genetic dissection of artemisinin synthesis demonstrated the importance of nonenzymatic conversions in the final steps of artemisinin synthesis in A. annua with significant implications for future production in native versus heterologous host systems. Noscapine, morphinans and artemisinic acid (an artemisinin precursor) have all been targets for metabolic engineering in heterologous host systems. In this talk I will compare these different production routes with high yielding plant based field production that currently delivers active pharmaceutical ingredient (API) in the price range of $200-300 per Kg. Many other plant species also produce valuable bioactive molecules but in amounts that are not commercially viable. For example the Euphorbiaceae or spurge family produce a diverse range of diterpenoids, many of which have pharmacological activity. We are elucidating diterpenoid biosynthetic pathways from the spurge familyand developing new production platforms for their synthesis. I will reflect on the different production routes for high value chemicals from plants. Professor Ian A Graham FRS is based at the University of York, Ian is currently Head of the Biology Department (https://www.york.ac.uk/biology/), and Weston Chair of Biochemical Genetics, with his research team in the Department’s Centre for Novel Agricultural Products (www.york.ac.uk/biology/centrefornovelagriculturalproducts/). During his career Ian has made significant contributions to our understanding of plant metabolism and seed biology. His laboratory led the way in the genetic dissection of lipid mobilization in Arabidopsis oilseeds and discovery of a role for oxylipins in controlling seed germination. His most recent research has shed new light on the production of small molecule natural products from plants such as the anti-cancer compound noscapine, morphinan-based analgesics such as codeine and morphine and the antimalarial drug artemisinin. Ian also leads the BBSRC funded High Value Chemicals from Plants Network in Industrial Biotechnology and Bioenergy (hvcfp.net). Funding for Ian’s research comes from a range of sources including industry, UK Government including BBSRC, EU, UK and overseas charities. In 2016 Ian was elected a Fellow of the Royal Society (FRS) and member of the European Molecular Biology Organisation (EMBO). 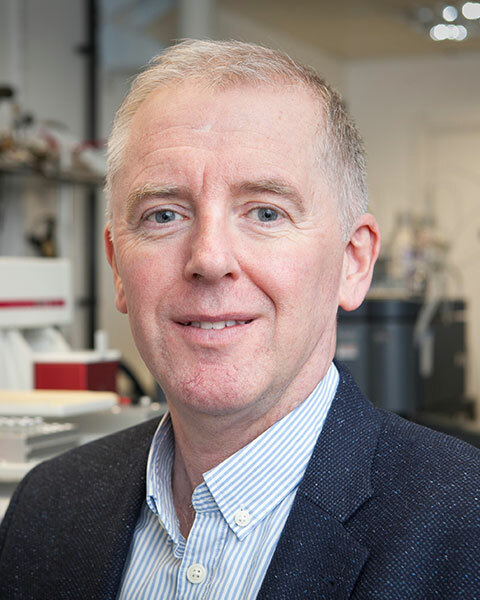 He has also been awarded the Biochemical Society’s 2017 Heatley Medal and Prize for exceptional work in applying advances in biochemistry, particularly in developing practical uses that have created widespread benefits and value for society. Bio: Professor Ian A Graham FRS is based at the University of York, Ian is currently Head of the Biology Department (https://www.york.ac.uk/biology/), and Weston Chair of Biochemical Genetics, with his research team in the Department’s Centre for Novel Agricultural Products (www.york.ac.uk/biology/centrefornovelagriculturalproducts/). During his career Ian has made significant contributions to our understanding of plant metabolism and seed biology. His laboratory led the way in the genetic dissection of lipid mobilization in Arabidopsis oilseeds and discovery of a role for oxylipins in controlling seed germination. His most recent research has shed new light on the production of small molecule natural products from plants such as the anti-cancer compound noscapine, morphinan-based analgesics such as codeine and morphine and the antimalarial drug artemisinin. Ian also leads the BBSRC funded High Value Chemicals from Plants Network in Industrial Biotechnology and Bioenergy (hvcfp.net). Funding for Ian’s research comes from a range of sources including industry, UK Government including BBSRC, EU, UK and overseas charities. In 2016 Ian was elected a Fellow of the Royal Society (FRS) and member of the European Molecular Biology Organisation (EMBO). He has also been awarded the Biochemical Society’s 2017 Heatley Medal and Prize for exceptional work in applying advances in biochemistry, particularly in developing practical uses that have created widespread benefits and value for society. Send Email for Unlocking the secrets of medicinal crops: from artemisinin to morphine, why are plants still better than bugs at making these drugs? Title: Unlocking the secrets of medicinal crops: from artemisinin to morphine, why are plants still better than bugs at making these drugs?